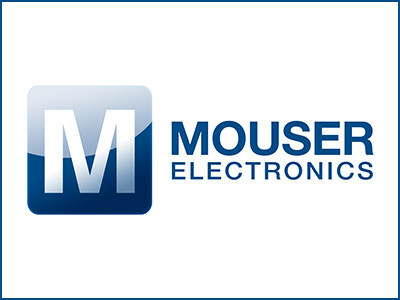 Mouser Electronics, Inc., the industry's leading New Product Introduction (NPI) distributor with the widest selection of semiconductors and electronic components, is now stocking the AMT series of capacitive modular absolute encoder kits from CUI Inc.
November 15, 2018 - Mouser Electronics, Inc., the industry's leading New Product Introduction (NPI) distributor with the widest selection of semiconductors and electronic components, is now stocking the AMT series of capacitive modular absolute encoder kits from CUI Inc. Based on CUI's proprietary capacitive sensing technology, the rugged single-turn and multi-turn AMT encoders are resistant to dust, dirt, and oil, making them an ideal choice for industrial applications, including robotics, building automation, and renewable energy devices. 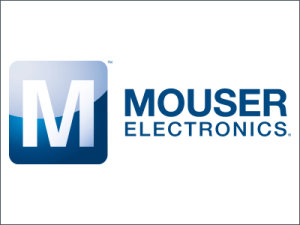 The CUI AMT series absolute encoder kits, available from Mouser Electronics, are based on the single-turn AMT20 encoder, which delivers 12-bit output via SPI communication; the single- or multi-turn AMT21 encoders, available with 12-bit or 14-bit output through RS-485 communication; and the single-turn AMT23 encoders, which also offer 12-bit or 14-bit output via SSI transmission. The encoders deliver accurate position feedback of ± 0.2 mechanical degrees, as well as low current draw of 8 mA at 5 V. Housed in a compact 28 mm package, the encoders feature locking hubs and ensure simple mounting and alignment with the One Touch Zero feature, while CUI's AMT Viewpoint software ensures easy configuration and firmware updates. The AMT series kits include nine sleeve options ranging from 2 mm to 8 mm, two simple mounting tools, and either one standard baseplate (AMT20) or one standard baseplate and one wide baseplate (AMT21 and AMT23) with multiple pre-drilled mounting hole patterns designed to mate with a broad range of motors. To learn more, visit www.mouser.com/cui-absolute-encoders. CUI is an electronic components manufacturer specializing in a diverse range of product technologies. As a leader in power electronics, CUI supports customers as they strive to improve the energy efficiency and environmental credentials of their application. The company's interconnect, audio, motion and thermal management groups provide engineers with reliable and proven solutions across a range of market segments as technology allows the world to connect in new ways. Most importantly, every product is backed by an unwavering commitment to create collaborative partnerships with customers and a drive to see that their design projects are a success.